Passionflowers grow on long vines that can take over your yard. The flowers are colorful and unusual, and the plants will produce a tasty fruit in the proper climate. However passionflowers are one plant you might want to tame to keep it looking tidy and from taking up too much space, especially if your yard is small. Nature will control the vines for you in colder climate zones because most species of Passiflora are frost tender and will die back after cold weather arrives. Provide a trellis for your passionflower at planting time. If you grow your passionflower against a fence or building, it will climb up and help to make the area more attractive, but a trellis will help to keep it tidy. Begin to train the vine when it starts sending out tendrils—use twist ties or plastic nursery tape to attach the vine to your trellis. After it starts to climb, it will usually stay on the trellis. Prune or trim your vine when it begins to spread too far and wide. Using sharp garden clippers, snip off the parts of the vine that are growing beyond your trellis. You can’t hurt it, so snip away to your heart’s content. Cut out all dead and diseased vines and wood. Doing this will help the general health of your plant as well as keeping it more compact and attractive. Cut back invasive vines that you no longer want with a handsaw or chain saw. One tropical variety of passionflower, the sweet golden passionfruit, develops a large trunk and can cover a very large area, sometimes producing little fruit. To control a passion vine such as this, cut through the trunk close to the ground. To prevent it from continuing to grow by sending up numerous shoots from the stump, apply an herbicide if you want. Avoid cutting off flowers if you enjoy them. Also, avoid cutting off fruit that is forming. 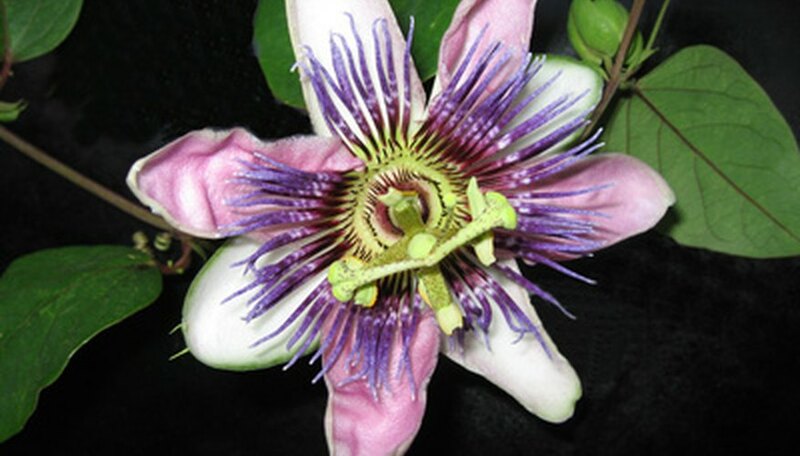 The best time to prune a passionflower vine is during its dormant season when it is not producing flowers or fruit.